A kazoo is an instrument that makes a buzzing sound as a result of air vibrating a small piece of paper inside the instrument when you hum into it. You can make a type of kazoo out of a drinking straw. When you cut the straw a certain way, the end of the straw vibrates much like a reed in a wind instrument, thereby producing a kazoo-like tone. This craft is simple to make and can be completed quickly. Bite on the end of a straight drinking straw in order to flatten it. Cut an upside down "V" into the flattened end of the straw. Place the straw into your mouth so that the pointed end of the V is securely inside your lips. 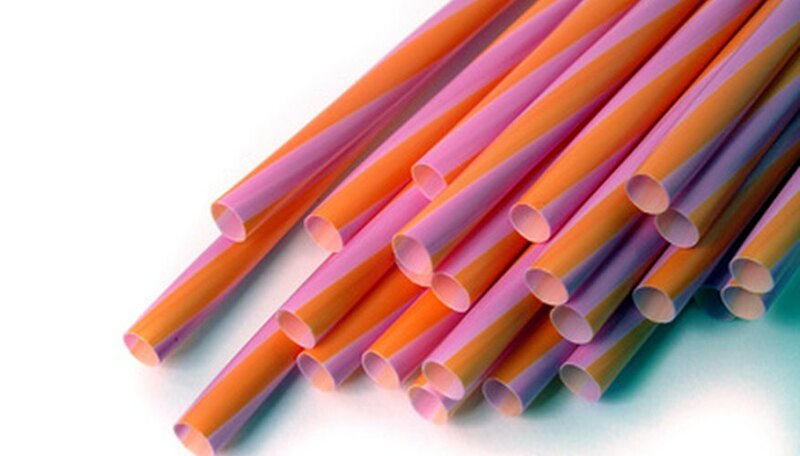 Blow into the pointed end of the straw gently so that it vibrates and makes a sound like a kazoo. If the straw does not seem to be making a buzzing sound when you blow into it, take it out of your mouth and separate the ends of the V shape. Put it back into your mouth and try again.